Softgel manufacturers produce nutritional supplements made from sensitive and liquid-based ingredients. A lot of people prefer taking softgels over regular pills because they are easier to swallow. Further, softgels are believed to make it easier for the body to absorb and utilize both fat-soluble and water-soluble nutrients. How To Find The Right Softgel Manufacturer? Communication is always clear and effective with the right softgel manufacturer. Good communication leads to timely delivery, so you won’t be anxious while waiting for your wholesale orders. Further, a reliable manufacturing company would produce only high-quality products. Often, the manner of communication and customer support reflects reliability well. Your softgel manufacturer should be developing, testing, and mass-producing softgels in a GMP-certified facility. Be sure to find out if they are following internationally accepted protocols, like Vitakem. First, ask for a free quote from your list of candidates. 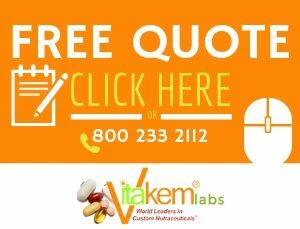 We at Vitakem encourage both new and seasoned web entrepreneurs to request for a free quote to start communicating with us. What Are The Advantages Of Manufacturing Softgels? 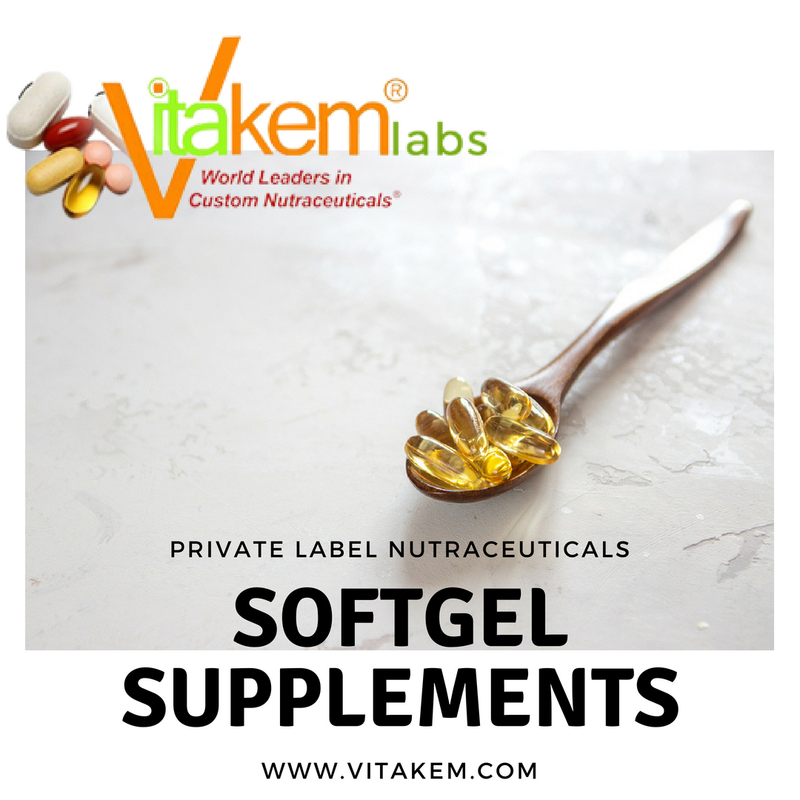 Softgels are hermetically sealed, meaning they are airtight and protected from microorganisms. As such, they are relatively easier to store. The shelf life of regular pills or capsules, as well as liquids and powders, is generally shorter than softgels. The softgel manufacturing process can accommodate advanced fast-acting solutions to aid nutrient metabolism. Hence, softgels are believed to allow the body to absorb and utilize more nutritients that are typically exhibiting poor bioavailability. Why Choose Vitakem As Softgel Manufacturer? Vitakem manufactures high-quality nutritional supplements in various forms. We produce tens of millions of tablets, capsules, liquid-filled capsules, softgels, and gummies every day. Our technical expertise and business insight have been expanding exponentially since we started in the health supplements industry in 2003. 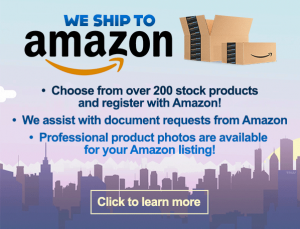 Helping countless of Amazon and drop shipping business owners worldwide has given us limitless learning opportunities. We train our staff to properly pass along our wealth of knowledge to our customers, who are essentially our business partners, too. The success of Vitakem customers reflects our success in the industry. We are proud to say that many of our customers are thriving in e-commerce because of our quality products and efficient services. Vitakem operates in a 3,000-square-feet state-of-the-art cGMP laboratory. Moreover, we follow only internationally-accepted quality standards as a GMP-certified facility. Our private label manufacturing processes ensure product integrity all the way through. Our product development team manages wholesale orders efficiently every day. We use only the best technologies for testing, developing, and manufacturing all kinds of supplements in any form. Vitakem also provides special services, such as designing FDA-approved labeling for softgels and other nutritional supplements. What Are Vitakem’s Top Selling Softgel Supplements? Krill Oil softgels are among Vitakem’s top selling dietary supplements. It helps in lowering bad cholesterol and fighting joint pains typically caused by arthritis. Mega EPA / DHA enteric softgels are also popular among customers selling heart care and blood pressure support supplements. EPA (eicosapentaenoic acid) and DHA (docosahexaenoic acid) are fatty acids more popularly known as Omega-3. Studies have shown that they help the body fight off the usual ailments that come with aging. Vitakem also manufactures custom formulations from customers. If you want to have a specialized drop shipping business, or if you want to introduce innovative supplements on Amazon, call us for private label manufacturing. 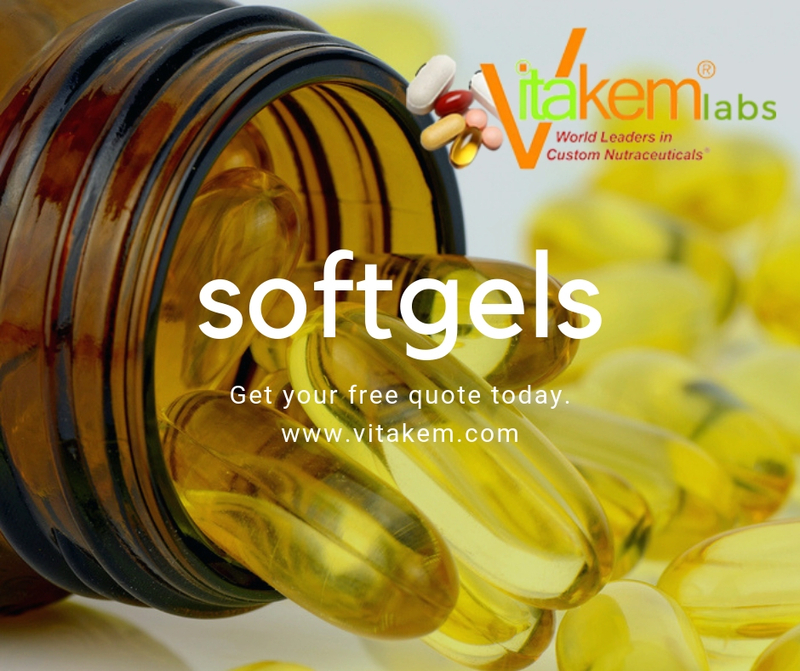 Choose Vitakem as your softgel manufacturer. Contact us today to get a free quote. You may also call us at 800-233-2112. Let us talk soon about your brand, vision, custom supplement requirements, and more.